As functionality is added to an ageing piece of software, its original design and structure tends to erode. The underlying forces which cause such degradation have been the subject of much research. However, progress in this field is slow due to the difficultly faced in generating empirical data  as well as attributing observed effects to the various points in the causal chain . 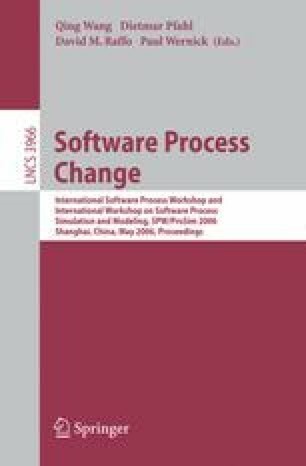 This paper tackles these problems by providing a framework for simulating the structural evolution of software. A complete model is built by incrementally adding modules to the framework, each of which contribute an individual evolutionary effect. These effects are then combined to form a multi-faceted simulation that evolves a fictitious code base approximating real world behavior. Validation of a simple set of evolutionary parameters is provided, demonstrating agreement with current empirical observations.